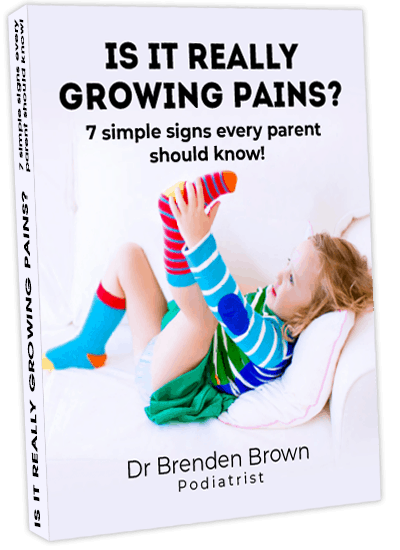 Are you worried about pain in your child feet? Not sure what’s normal and what’s not? Try accessing Dr Brenden’s helpful report on the “Growing pains- 7 simple signs every parent should know!” As a recognised expert in lower limb health with over 20 years’ experience, A past advisor for Clarks Kids footwear and lecturer on growing pains, Dr Brenden outlines what every Parent should know about Growing Pains and gives you fast ways to identify the “what and when” you need to know!